I am in, joined group and liked page. I’m in. I followed your FB page. Thanks. Otherwise i would post; I’m in. Following the Facebook page so I’m in. Thanks! I like the MF02S the best. 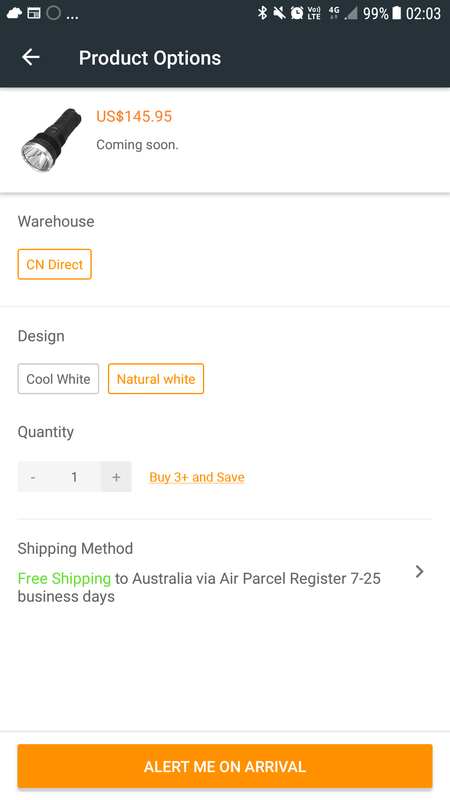 Screenshot on the Banggood App on my mobile. Joined the Banggood Astrolux Flashlight Official Group. Mine is 9000 lumens and 227 kcd so I doubt the 250 kcd if it is 6000 lumens. More estimate 180-200 kcd but we will see. I’m in! 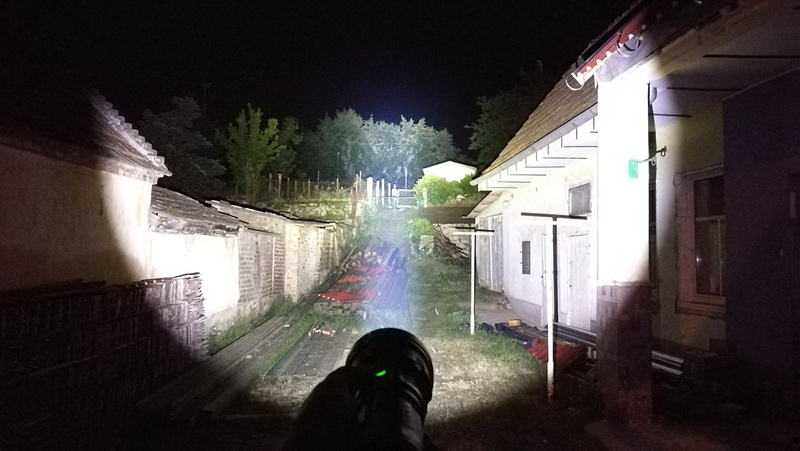 Astrolux lights are awesome! Thanks for this GAW! They can give away free flashlight but refuse to fix defective ones, they should be ashamed. I filed a paypal dispute when my MF02S arrived with a quarter of the LED burned out and the flashlight will never turn off by using the switch, I have to mechanically lock it out. Before filing the dispute I contacted customer service which was unhelpful. The paypal dispute escalated and Banggood sent me an email saying they would send me a new head if I cancelled the dispute. 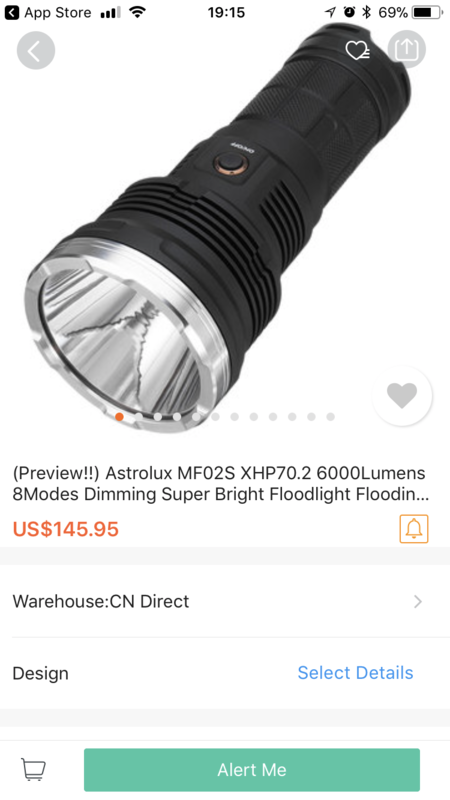 Paypal ruled that I would have to send the flashlight back and pay for return shipping to China myself, and the cost to ship was more than the value of the flashlight. Believing that they would maybe honor their commitment, I cancelled the dispute and Banggood refunded me $10 to my paypal account and refused to send me a new a head. So realize you are likely to get screwed if there is ever an issue. Here is the discussion with a rep who promised to send me a new head. “Thank you for your email and order 49560558. First of all, thank you for choosing Banggood.It’s our great pleasure to assist you with the problem item 1204747. Would you like us to resend a flashlight head， but our system does not allow us to process it if there is a PayPal claim open for this transaction. Could you please close it and then contact us again? Sorry for the inconvenience caused and we will keep waiting for your reply. Mark, I hope you get your problem resolved. 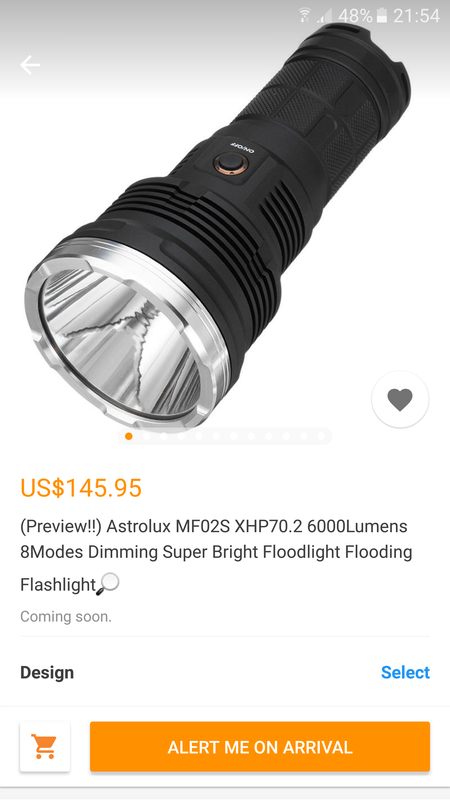 Banggood and Astrolux have always came through for me in the past. I hope they do the same for you. I have never had to call PayPal into the mix when I had a problem. I always contacted the seller first, then the manufacturer, and PayPal was my last resort which I never got to. I understand Banggood not wanting to deal with both PayPal and you at the same time. Personally I would have stuck it out with Banggood until I had no other choice than to include PayPal. That’s what they are there for and that’s what you pay your money for. We also have to deal with the language barrier which sometimes makes matters seem worse than they really are. It could be worse I reckon. Work with BG or the OEM and get your problem resolved.